Jacksonville Truck Tire Repair (904) 389-7233 | Southern Tire & Fleet Service, LLC. 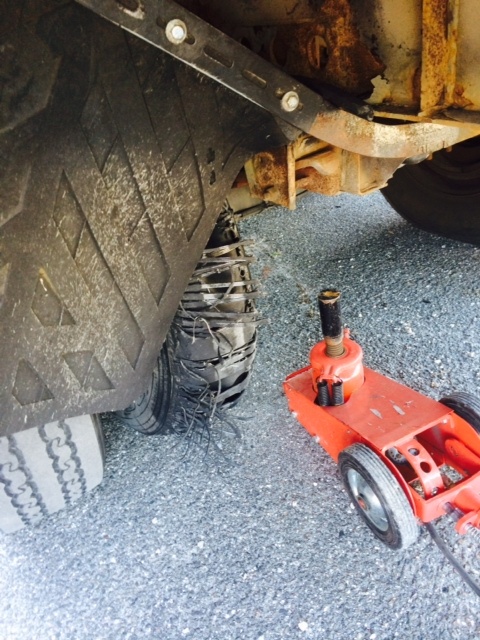 If you have trucks on the road, its only a matter of time before you experience tire problems. Its nice to know that there are people out there ready to help when these issues arise. When a tire blows out, or in the case above a tandem blows, it often causes more damage than just the tires. Often the mud flap bracket is bent and missing. The mud flap is almost always damaged or missing. If the tread has come off the tire, it can wrap around the brake chambers and damage air lines and airbags. If the driver doesn’t get to the shoulder fast enough, the wheels can be destroyed as well. Southern Tire www.GreatSouthernTire.com has built a solid reputation in the Jacksonville, FL market as being the “go to guys” for all your blowout issues. Not only do we stock a full line of new and used commercial truck tires, we also carry new and used wheels. Our service trucks are stocked with the most common air lines and components most often damaged in a tire failure. 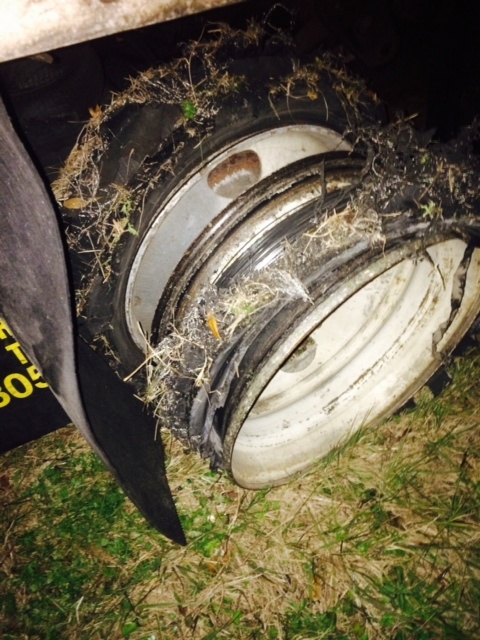 If you have trucks running through the Jacksonville, FL area, keep Southern Tire on speed dial (904) 389-7233. We are your single source provider for all your tire related needs. Safe driving! Have a great day! Really appreciate your service. It’s not often I find a mobile tire repair company that doesn’t charge an arm and a leg for service. Southern Tire came to the TA at exit 329 on 95 and saved me over $350 on a set of 11R22.5 steers. Do both trucks have the same wheel/studs. Make sure the studs are long enough on both trucks. If you have aluminum on one and steel on the other, sometimes the studs aren’t long enough to handle the extra thickness of aluminum wheels. We can change the studs out for you, but want you to be aware of the potential issue.